Inspiration is everywhere! 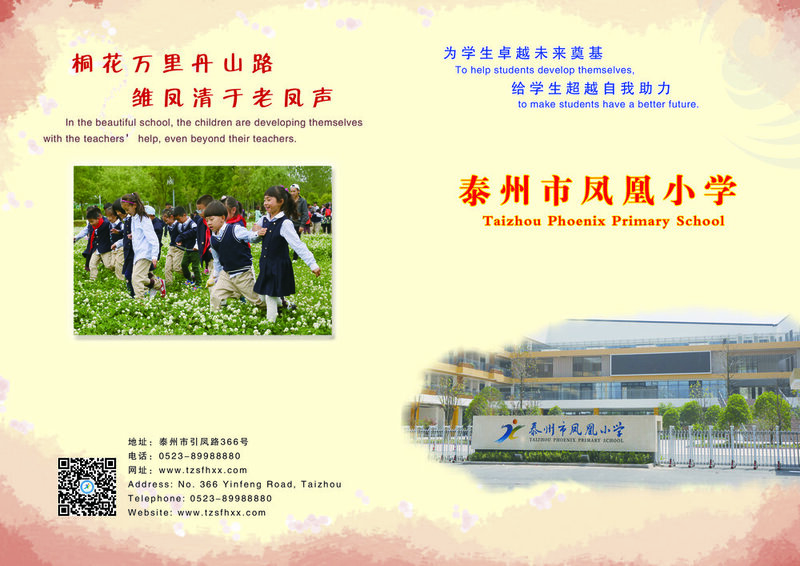 To see how our inspiration directly comes from our friends in Shenzhen, China we looked at the artworks they had sent us. This got our creativity buzzing!! It was also fun to review all the Dear You projects we have been making these past few months. When the groups were ready with their story they had a quick think about how to TELL the story using their voice and intonation as an art form. As you can hear, they all did an amazing job! Thank you for being friends with us! It has been great getting to know you through your artwork and videos! 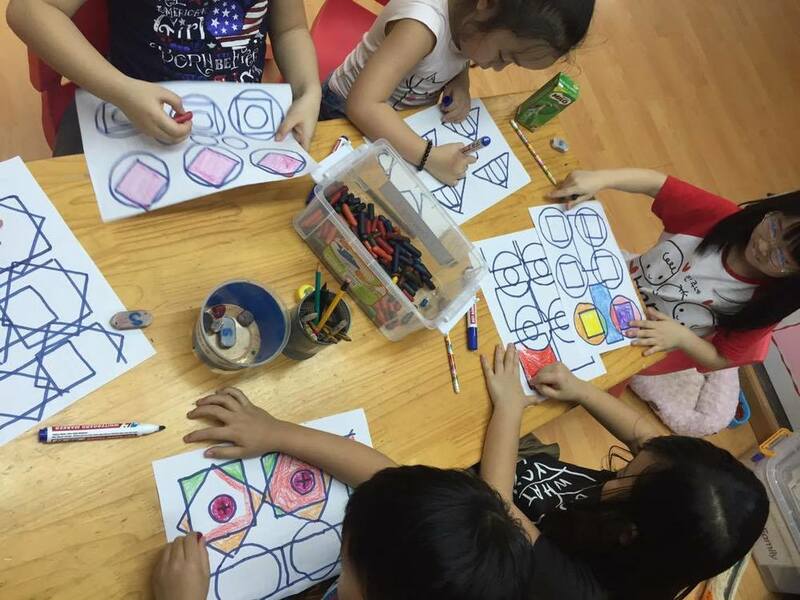 The Explorers, 5-6 year olds, from International School of Helsinki in Helsinki, Finland are making and sharing with the artists aged 6 years old at Shenzhen Primary School in Shenzhen, China. How happy we were when the table cloth arrived! It is a beautiful piece – and the fish is so appropriate because here we love fish and Siglufjörður is famous for fish industry (herring industry) in the past. And also now, although we don´t fish herring still. We have already had picnic twice and used that beautiful tablecloth, as you can see on the pictures. It was quite a good idea to have the names of the kids on the cloth, then their friends could sit at the „right“ place. All the projects in the Dear you work have been inspiring and brought out creative thinking – good for both children and teachers. We would be happy to take part next year, it would be better not to start in August/Sept. .... maybe January would be good for us like this year. Tomorrow is the last day of school for the kids, but teachers will be working until 9th of June. Thank you Kathleen and Arlene! 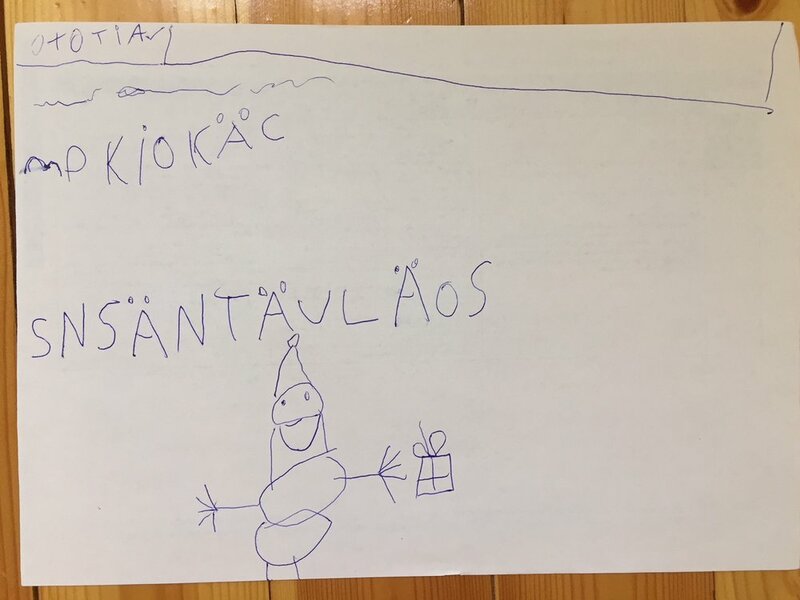 Hyvää ruokahalua! Enjoy your meal!! So turns out when we are eating, the thing we want to see the most is food. Second favourites include looking out the window, listening to the birds singing. We enjoy having a meal in the company of our family and pets. On the other hand, we don’t so much like sharing our food with ants. 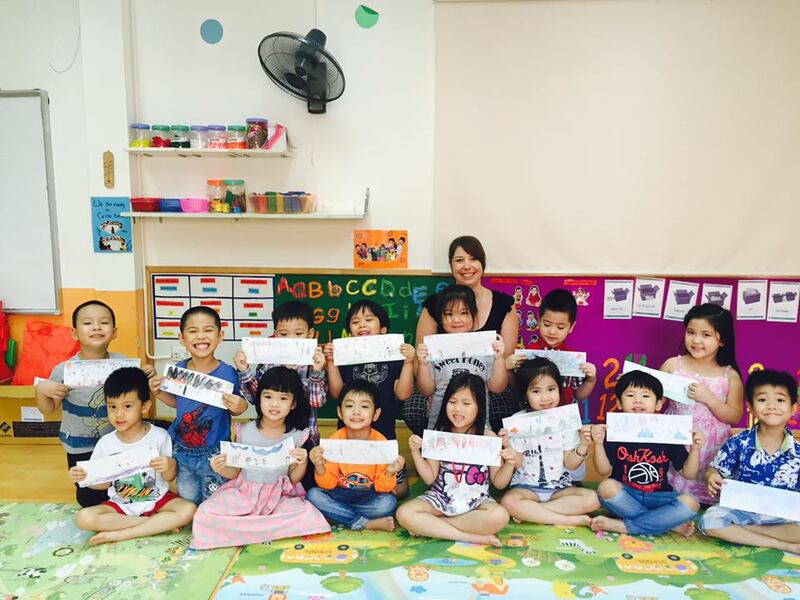 My last sessions with 1 A and 1 B classes very really fun! We made two very different, but beautiful ornamented table cloths. 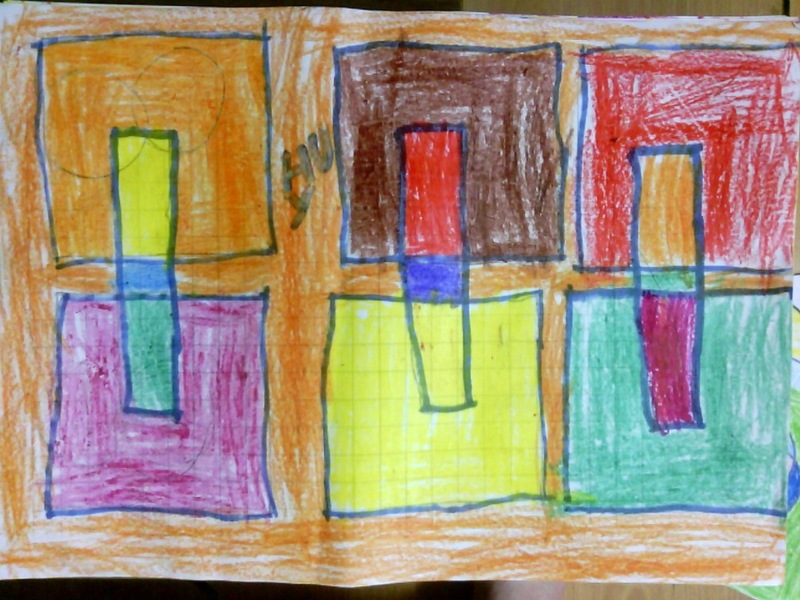 The artists drew their own patterns on graph paper, and then we all spent some time together joining our creations to make one large picnic blanket. 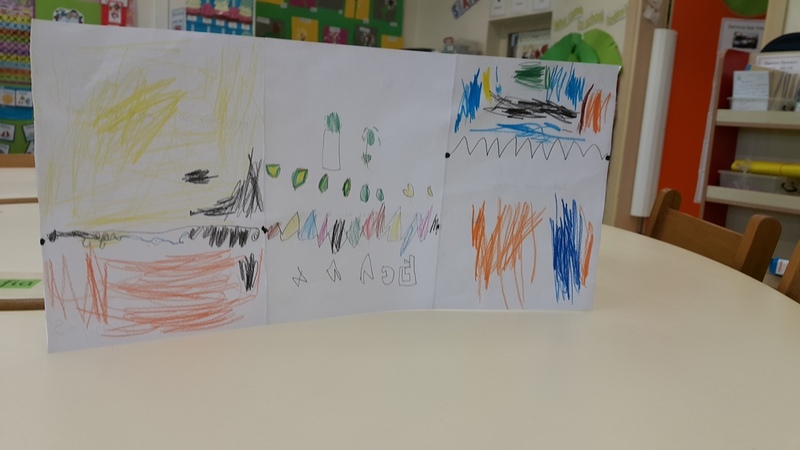 When we finished the artwork, we took some time to write a letter to our friends, saying that we wish they enjoy their meal. Hyvää ruokahalua!! A beautiful place for your meal! 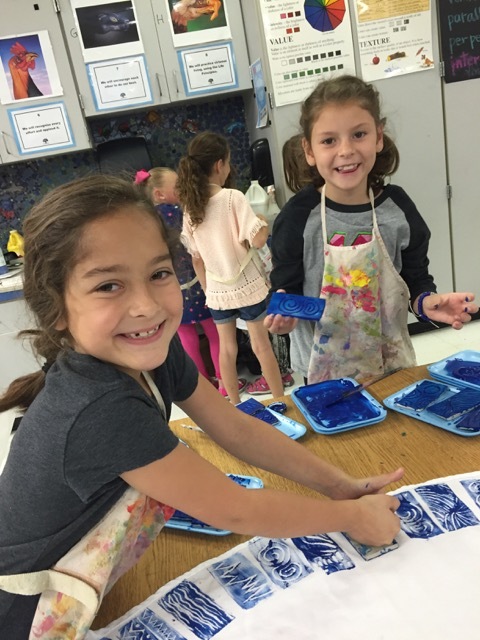 Printmaking and putting it to use is not only fun, but so rewarding for everybody. In this case, the Texans' friend in Iceland will enjoy their food even more when looking at such lovely designs! Kathleen Finan and her group of 2nd graders at Amy Parks Heath Elementary School in Heath, Texas are making and sharing with the 1st and 2nd graders at Grunnskóli Fjallabyggðar in Siglufjörður, Iceland. What a creative and colourful project this was! We have learnt so much about ourselves and our friends across the oceans by doing this project. The children were so excited to show off all of their new geographical knowledge. 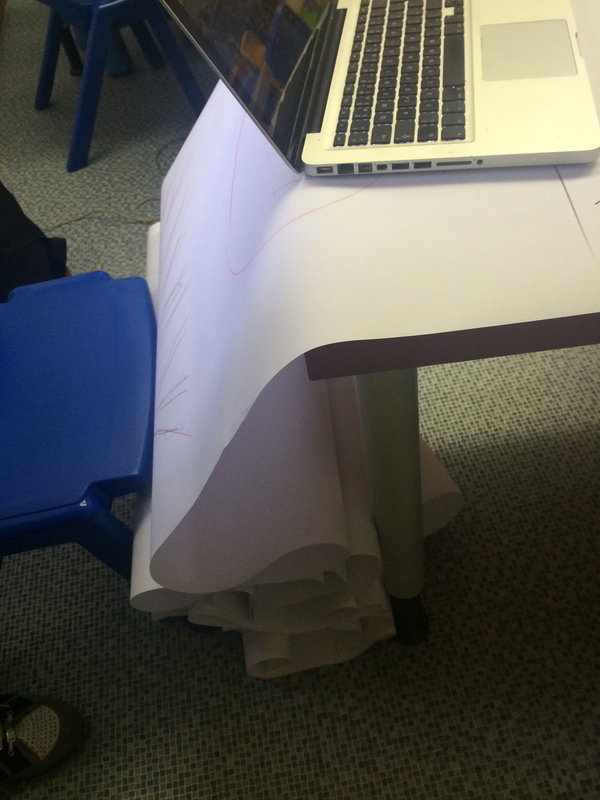 We have marked all of the places we know on a large map, so now we can easily find them. We remembered all of the projects in this series so far, our masks decorated with skin patterns, our rhythmic paintings using so many painting objects and our food book. Now it's time to combine them all! We started a discussion about our dinner table, and what we need to put on it. Plates, knives and forks, chopsticks? What about under them? We need a beautiful table cloth or placemats. We gathered a range of objects in different shapes and sizes. We found cd's and blocks, triangles and rectangles and squares. 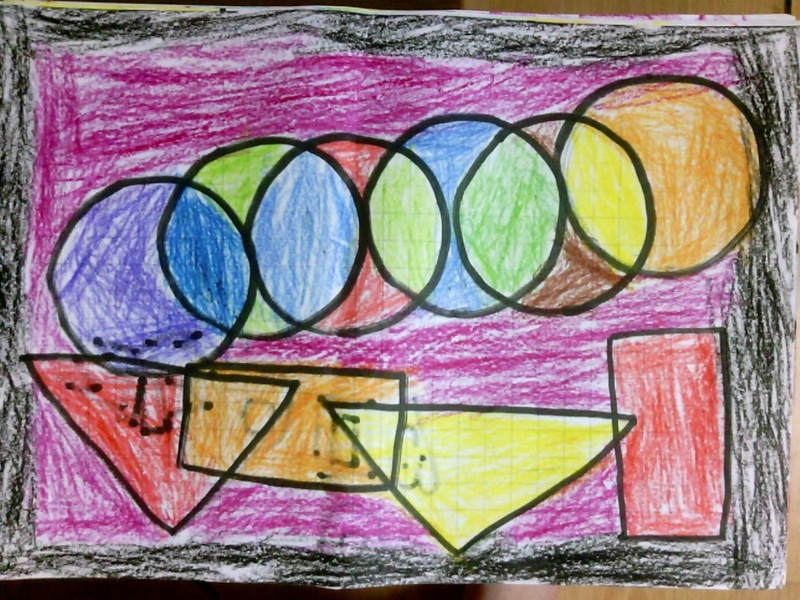 We started by choosing one shape and we made some traces with it. Then we chose a second shape and then a third if we wanted. We watched how the lines overlapped and it made different shapes on the inside. When we were finished it was time to colour! 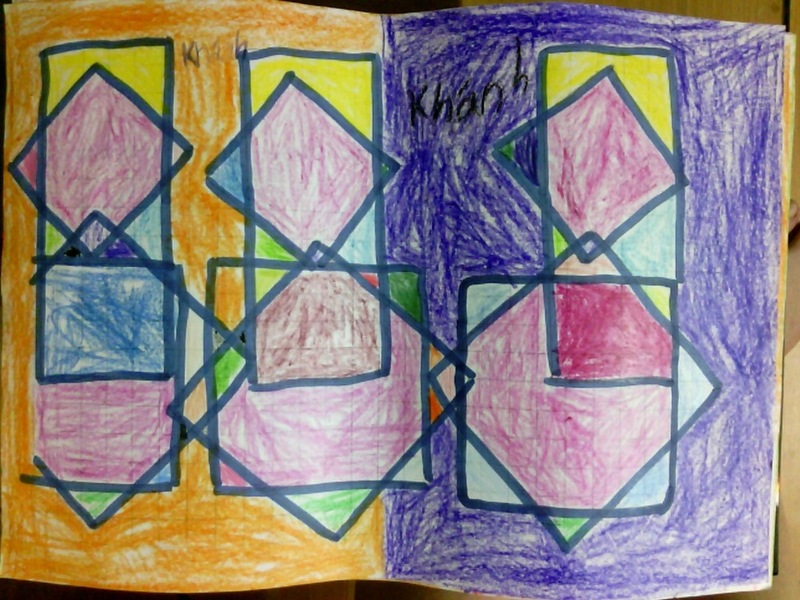 We coloured each section with a different colour. How amazing and bright they looked with all these beautiful colours. When we were finished we all looked at each other's and tried to put them together to make one big table cloth, but we decided that it was much more exciting if each guest at our international dinner table had a different piece of art under their plate. The children have absolutely loved being a part of the Dear You project. 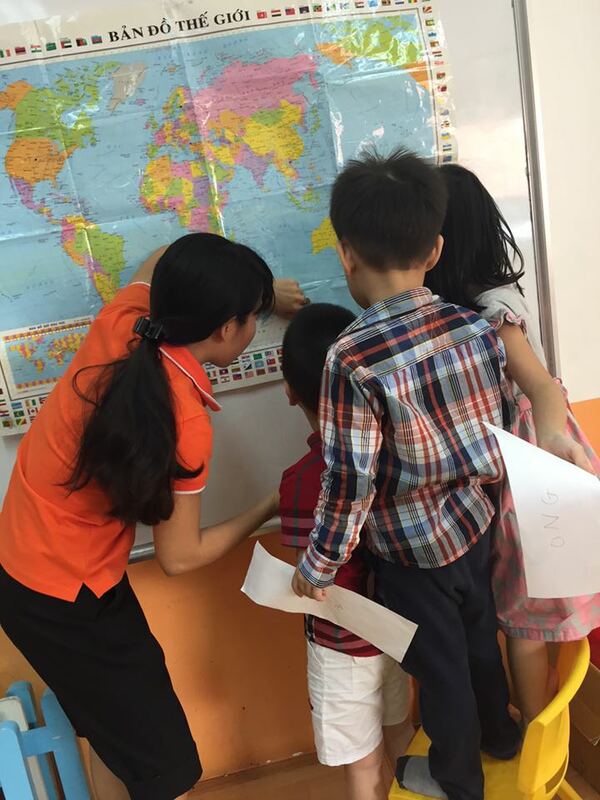 Now as the little Tiger cubs and Puppies graduate their last year in kindergarten, they enter big school with knew knowledge of cultures, geography, creativity and wonder. Thank you for letting us be a part of this project and we hope to continue work with you in years to come. Teacher Steph, the Tiger Cubs and the Puppies. Below are pictures from the workshop with the Puppies. Below are pictures from the workshop with the Tiger Cubs. The 4 year old Puppies from Just Kids in Hanoi, Vietnam are making and sharing art with the artist Tigers at Your School in Espoo, Finland. 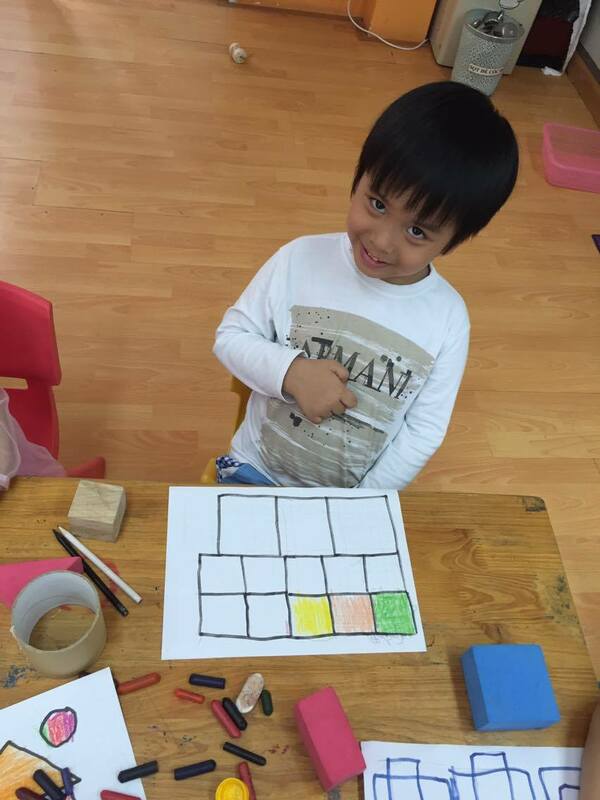 The 4 year old Tigers at Just Kids are making and sharing art with the 3-6 year olds at Oakdale Montessori School in Cape Town, South Africa. 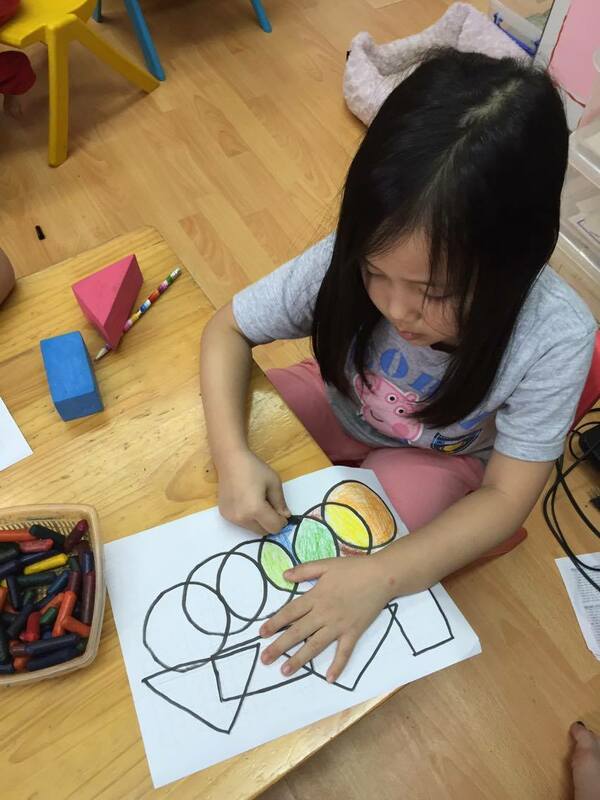 As there was Environment Consciousness Week right before the Atmosphere project, children drew air and land, polluted air and clean air. After taping all works together kids did not feel like adding anything. So long, enjoy holidays and time! The Tigers work together to create a beautiful atmosphere! Together we connected the dots to draw lines that created a collective piece of art. We first asked each other, "What can be found in the ocean?" "What can be found on land?" "What can be found in the air?". From that we let our imaginations go and painted all the possibilities. Afterwards when we put all of our individual paintings together to make one long Shared Atmosphere, we got out the Pop Up Homes and Puppets that the Puppies in Vietnam had made for us. We were coming up with some great stories of why our friend lives in their home and how their environment can make them feel happy, sad, or silly! Thank you, Puppies for making and sharing art with us. We hope you like our artwork too! 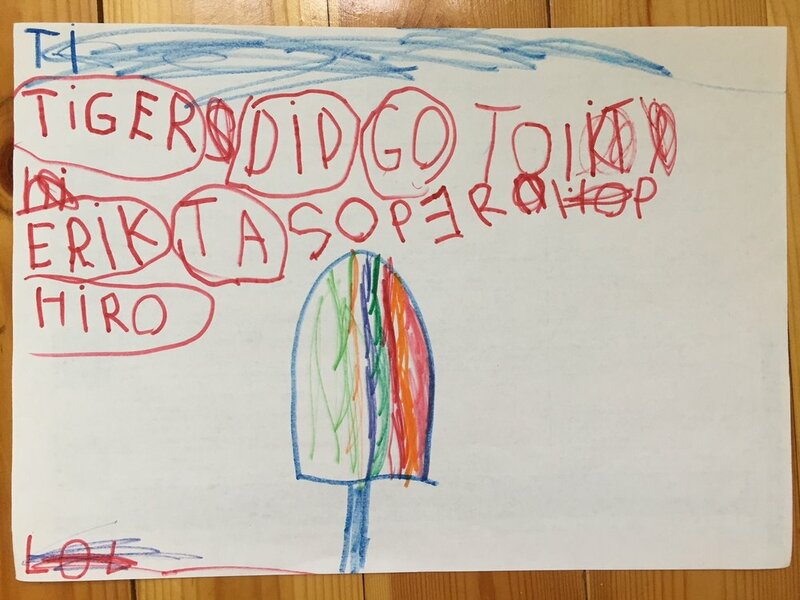 The Tigers from Your School in Espoo, Finland are 4 years old. 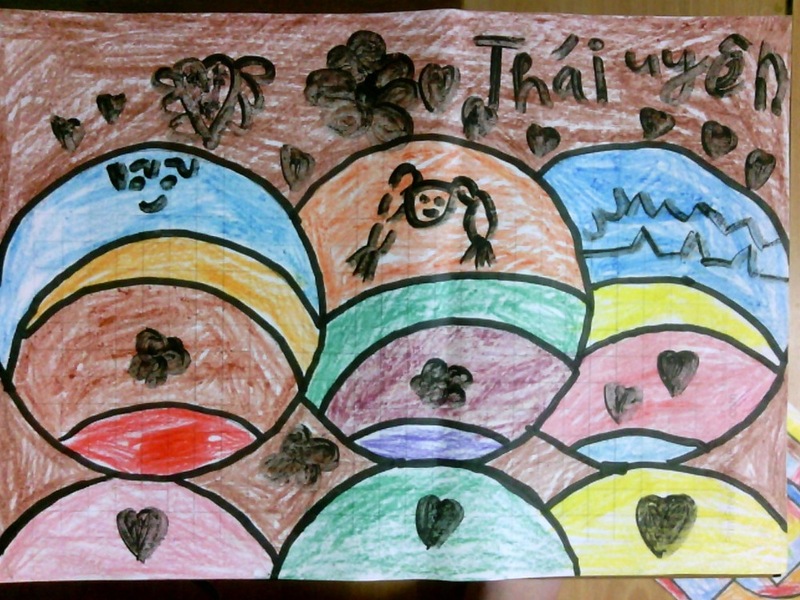 They are making and sharing art with the 4 year old Puppies who are artists going to Just Kids School in Hanoi, Vietnam. The children are so excited to begin the next project! They ask me everyday when we will make something new for our friends in Finland. So bringing this project to them brought on a lot of excitement in the classroom. I started by drawing a person, and a house and then we started talking about what else we can draw. I was met with suggestions of trees, and a sun and many other things from our environment. We then started a discussion about Finland and what the environment looks like there. I then showed them 2 videos of Finland. We saw the beautiful long summer days and the long, cold winter nights. We were mesmerised by the beautiful northern lights. "I want to travel to Finland! ", "I want to LIVE in Finland!". So then we discussed what we did see in the videos of the Finnish environment. I showed them their next project and they were very eager to begin. Many stars and lots of snow, hot suns and water for boats. 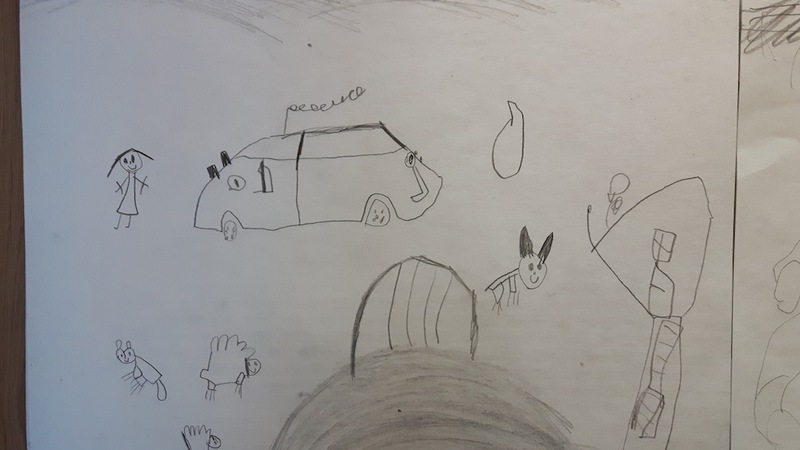 I was getting a lot of comments about the environment they were drawing, so, most of the pictures have small descriptions for our new friends to read. We also had the world map up on display for the children to be reminded of. The kids loved finding some of the new countries they are learning about! We stuck them all together and followed our environment line from end to end. What a beautiful product! We hope you enjoy our artwork. It comes with a lot of love! Teacher Steph, the Tiger Cubs and Puppies. Below are pictures of the Puppies's Shared Atmosphere collective painting. 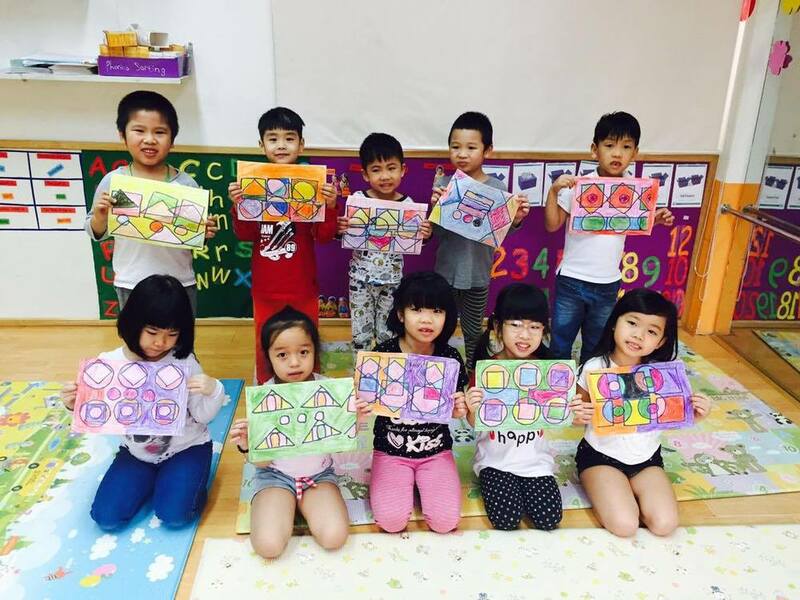 The 4 year old Puppies from Just Kids in Hanoi, Vietnam are making and sharing art with the artist Tigers at Your School in Espoo, Finland. Below are pictures of the Tiger Cub's Shared Atmosphere collective painting project. The 4 year old Tiger Cubs at Just Kids are friends with the K1 artists at International School of Helsinki in Helsinki, Finland. Exciting!! The Solar System strings us together! 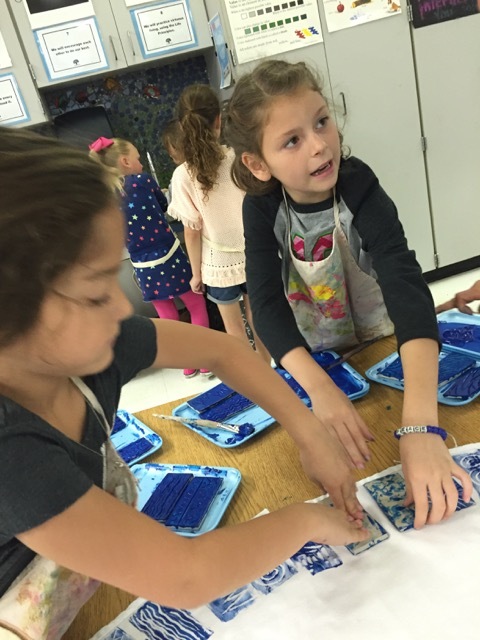 We had a great time doing the February Dear You art project. We have been focusing on the solar system and talking about how we are connected to everything, so the project tied in perfectly with our curriculum! We have also been working on sharing and teamwork, so each piece was a collective effort. 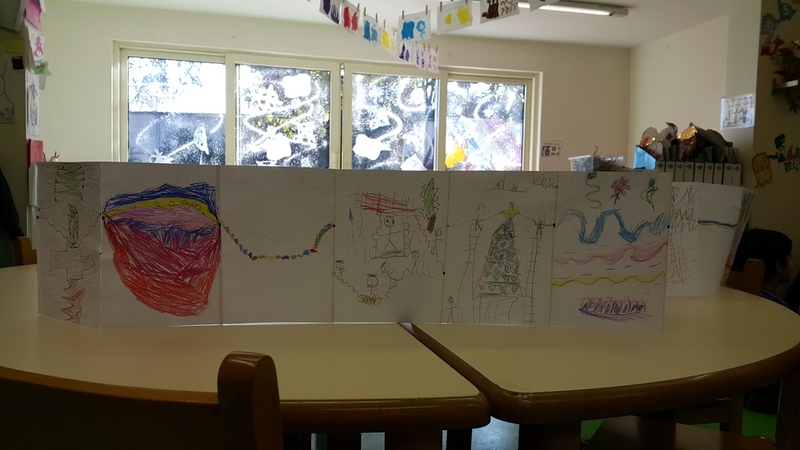 The 5 years old at Moonstone Preschool in Philadelphia, PA, USA is making and exchanging artwork with Pre-Kindergarteners at The International School of Antwerp in Antwerp, Belgium.